I have been pretty quiet at here for a while but I though I should properly introduce last summers addition to my family. 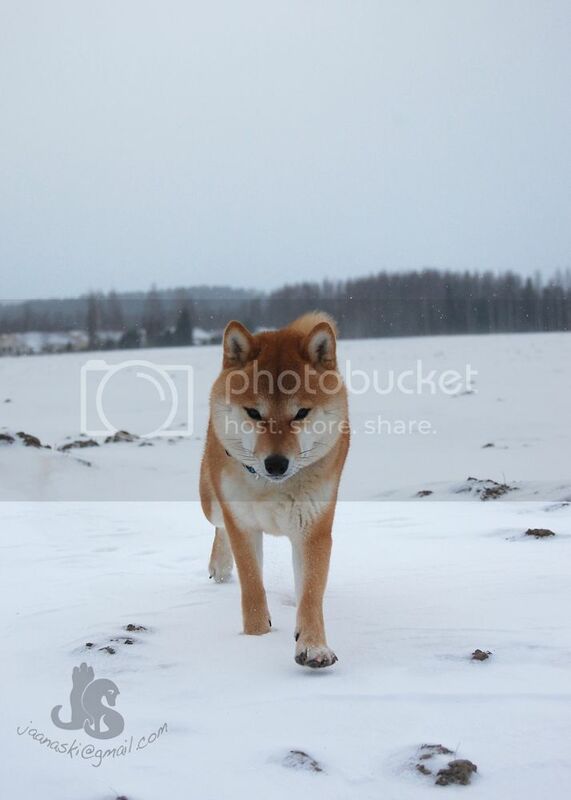 Last spring I was actually looking for a getting a shikoku and were considering a kai. 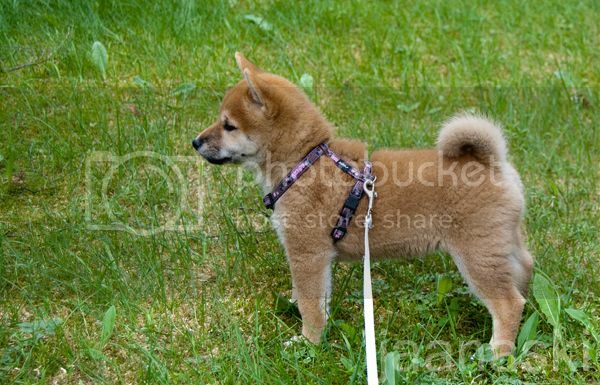 But then I got this really good offer with this shiba pup and in the end went for shiba again. 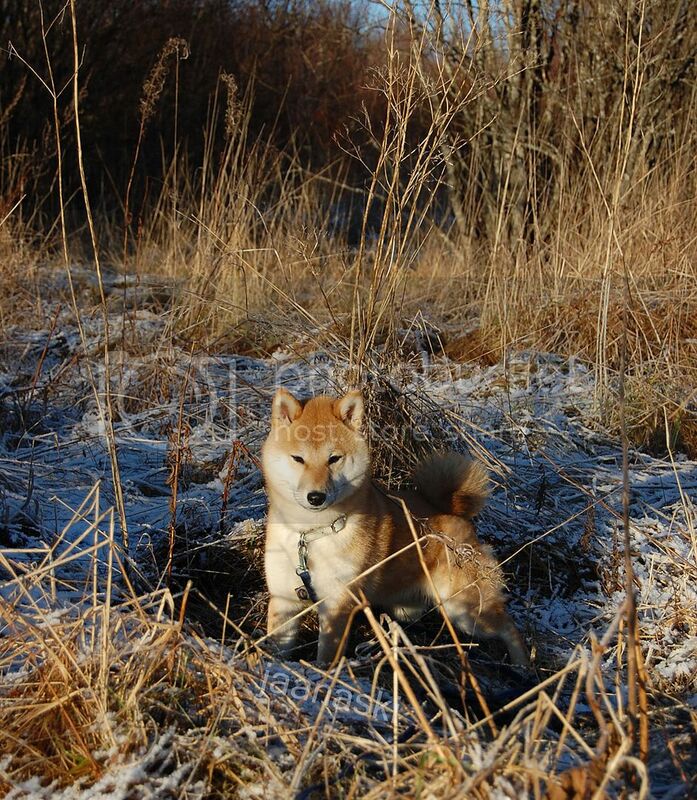 Mainly because I have been having really bad luck and with this shiba the health questions were looking really good. (Especially comparing to importing from japan. I really appreciate the health screening of parents and family). 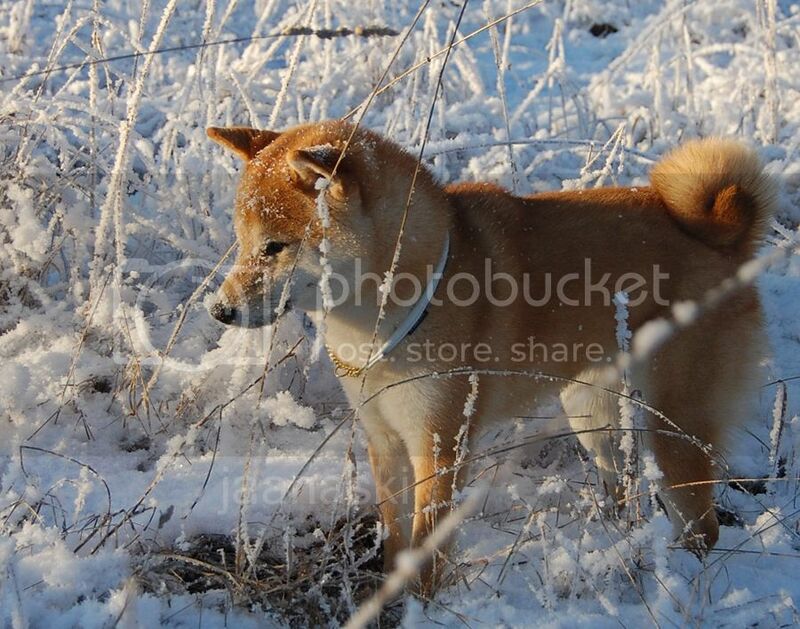 Navi the 10month old shiba inu. Navi has her own blog of her life and training. I put there some obedience instructions too. And here is a short video of training recall, heeling & retrieve. Not perfect yet but she is only 10months and I think this is looking good to keep training! Great blog and training videos. 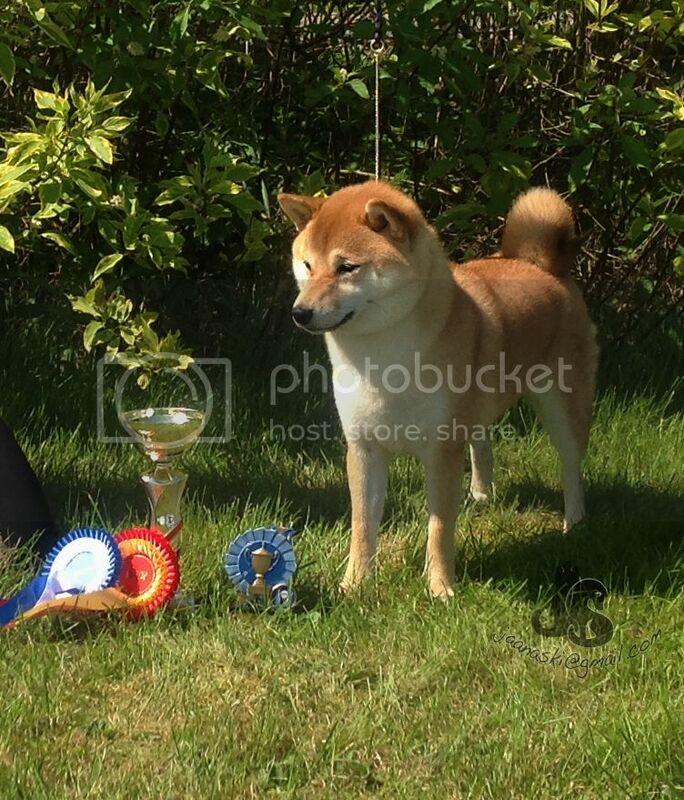 Love to see Shiba show off their stuff and let the world know they can be trained and do so many different things. Thats one reason of doing that blog. I hope that I'm able to make more of training videos with her (and Ganon). 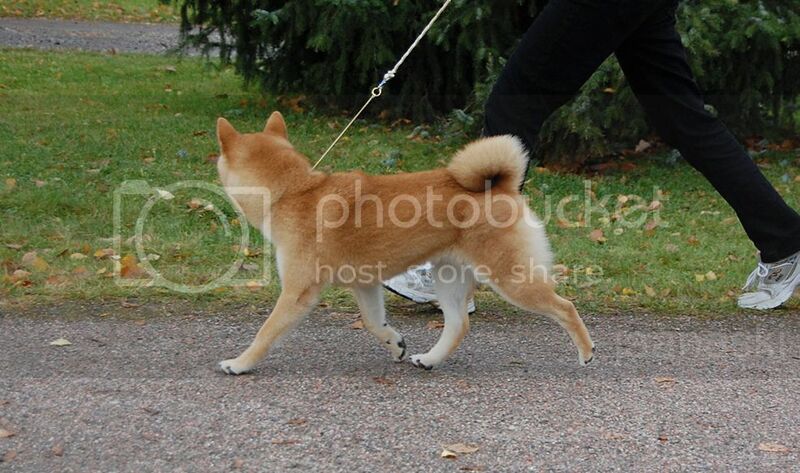 And finding other people training with their shibas too. 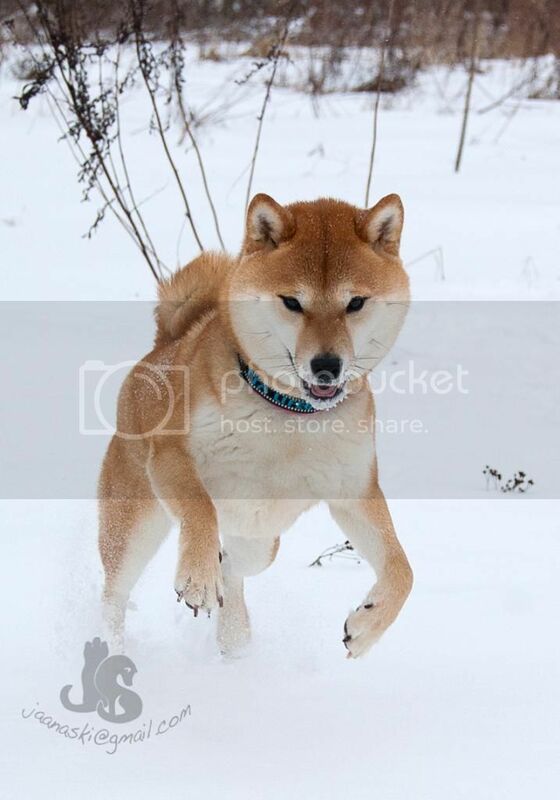 I try to concentrate on more how-to-do rather than can't-do-with-a-shiba. 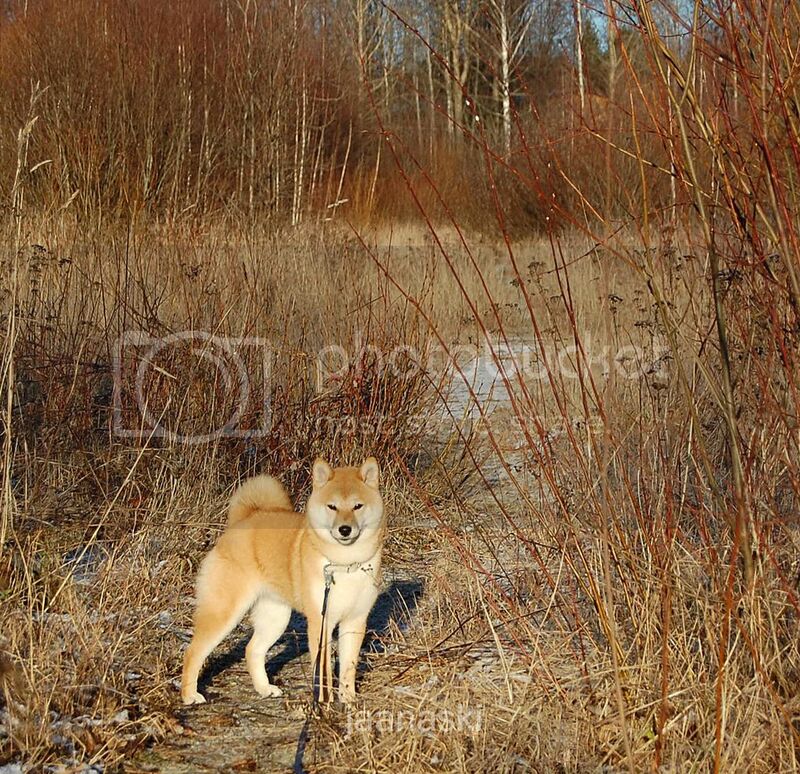 What a good-looking Shiba! She's very cute, and I'm always excited to hear about people doing dog sports with less "traditional" breeds for them. 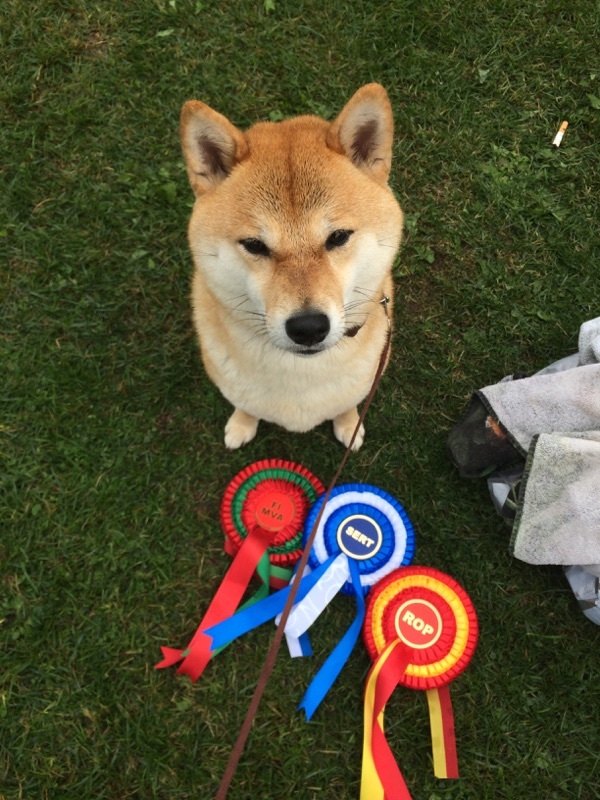 I do mostly agility with my Shibas. We also do Rally, Nosework, Barn Hunt, Lure Coursing and some competition obedience when we have time. This is a short clip of my boy Koji practicing some basic commands at a friend's place. All the commands are with verbal commands only (no body movement or ques on my part). He went from "sit" to "stand" to "drop" to "sit" again and then I released him and he came forward and I asked him to "drop" again. It is a "moving drop", meaning he "dropped" immediately after I told him while he was in motion coming toward me. He then held his "drop" position under distraction. I threw a string cheese to the side and the cat got it (not intended), so I threw another one closer to him and he still held his "drop/down" position until I gave him the verbal release. No treats were shown to him while he performed and he got the string cheese in the end as reward and verbal praise from me. Navi is so cute! ("Hey! Listen!" Sorry, her name makes me happy). 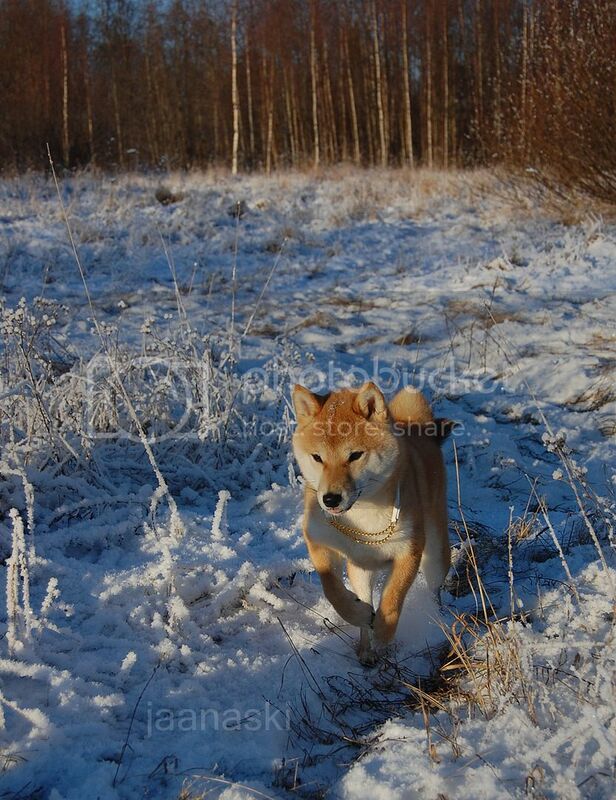 I think I will take a look at your blog and try some of your tips with my Hokkaido. 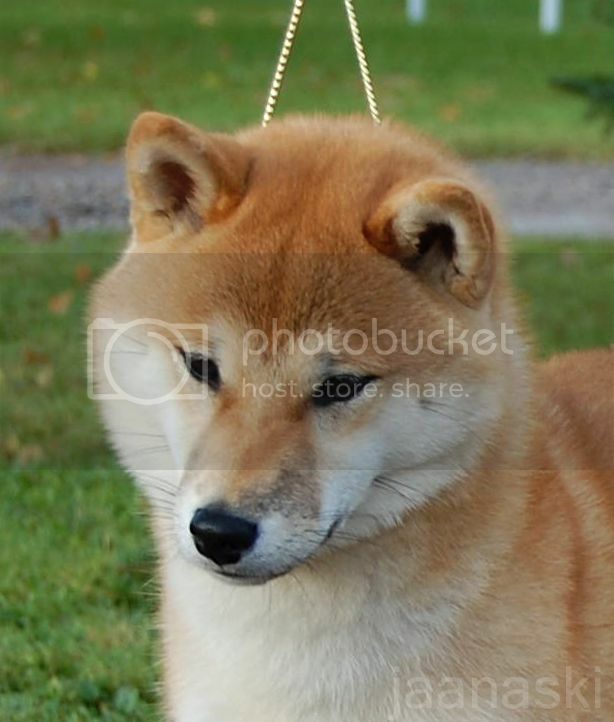 Koji looks so happy to work! Lucky cat to get the cheese. Ganon knows those too. But luckily the FCI obedience rules let's you to use voice&hand signal with that exercise (not in others though). Absolutely beautiful pictures! 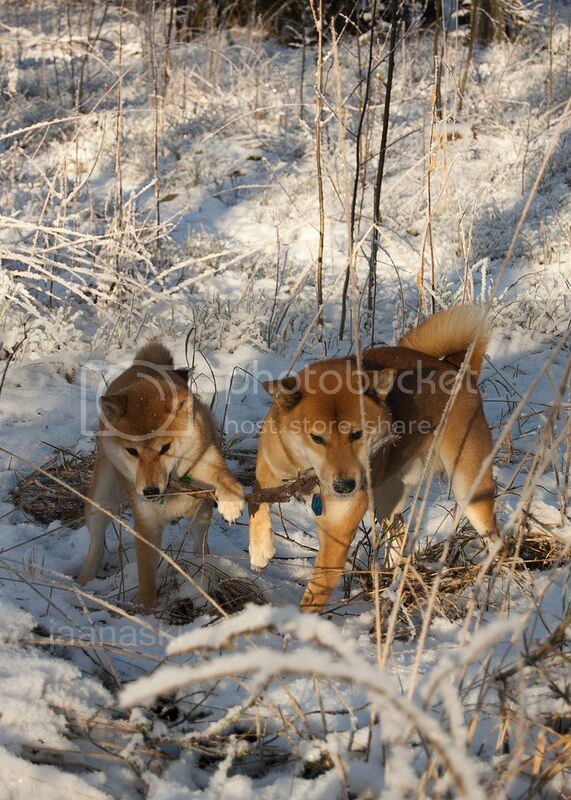 And beautiful Shibas! Navi has beautiful overall structure and a nice head. cant wait to see her fill out even more. Congratulations. :) She is beautiful. Congratulations! 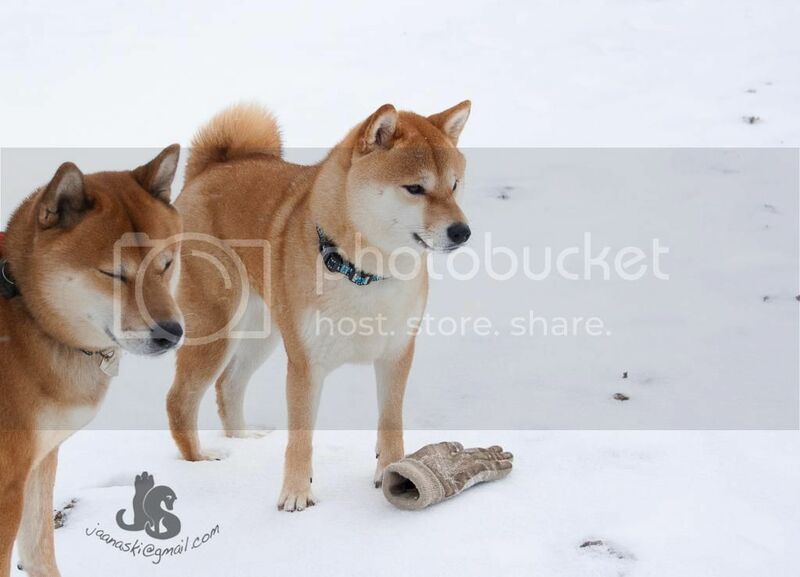 You have two beautiful Shiba Inu. Congratulations to you and Navi! :) I'm glad she did well. @MirkaM Nähdään erkkarissa. Siis jos keksin kyydin. 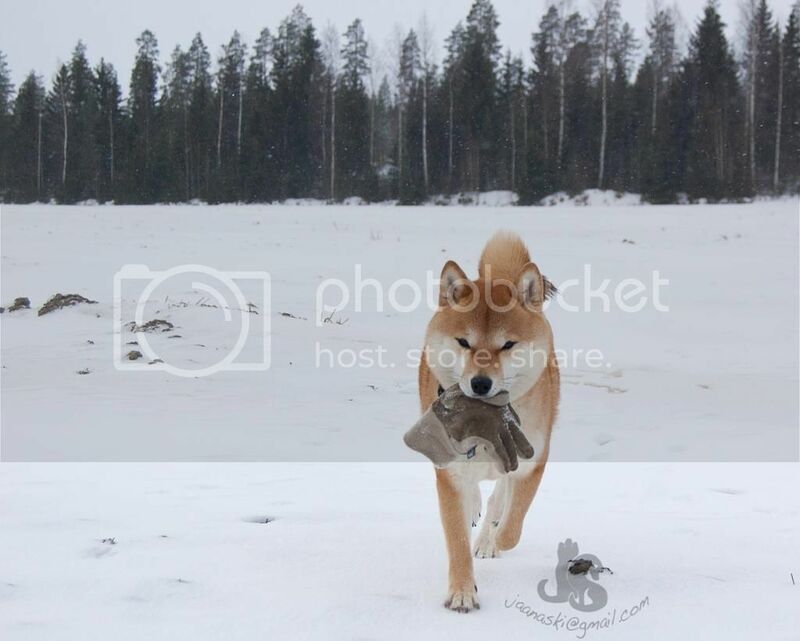 Nyrjäytin juuri nilkkani ja huomenna ois näyttely.. HUGE congrats from the BIG-2 placement! Amazing :). Thanks! That was really amazing. 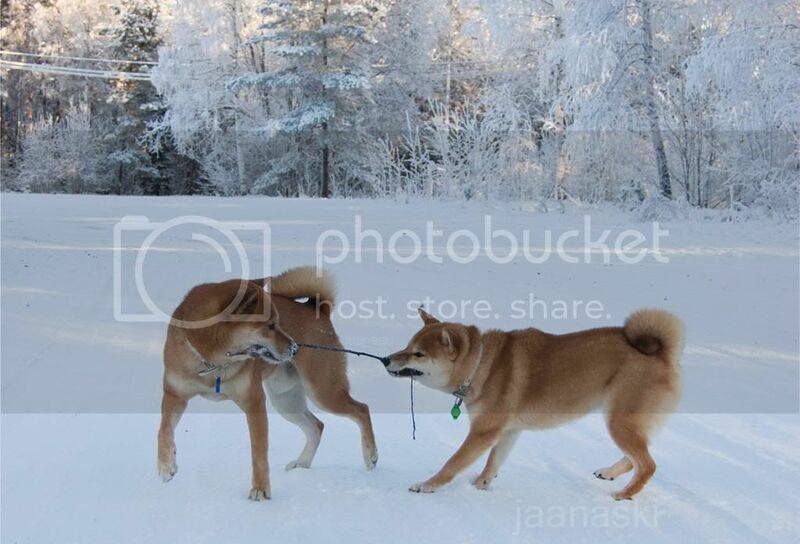 Story goes that yesterday was international dog show at rovaniemi. Back to what has happened after last update. We contiuned agility for another short course and it was fun. Last week thursday I finally decided to ask if they have any free spots in one of local agility clubs and actually someone had decided to leave her spot open that day! So after a long hiatus from agility we started again friday :D That was lucky. Now we can train weekly for several months. We also trained a little more obedience at it started to look better. Right now I have some motivation problems with combo obedience+Navi (Navi is motivated. I'm not). 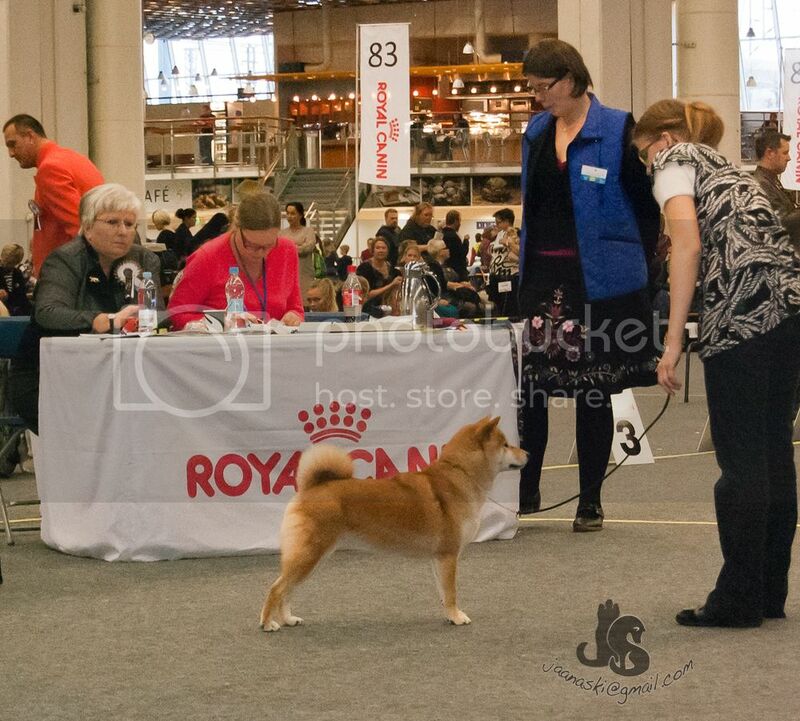 Then I decided to enter Navi one more show before we take a break until she turns 2yo. That show was finnish Voittaja (=winner) show. Navi is so beautiful. :) It's awesome all the things you do with her. And Ganon handsome also (love him!). Does he do agility, too? Thanks you! It's easy to try new things with Navi. 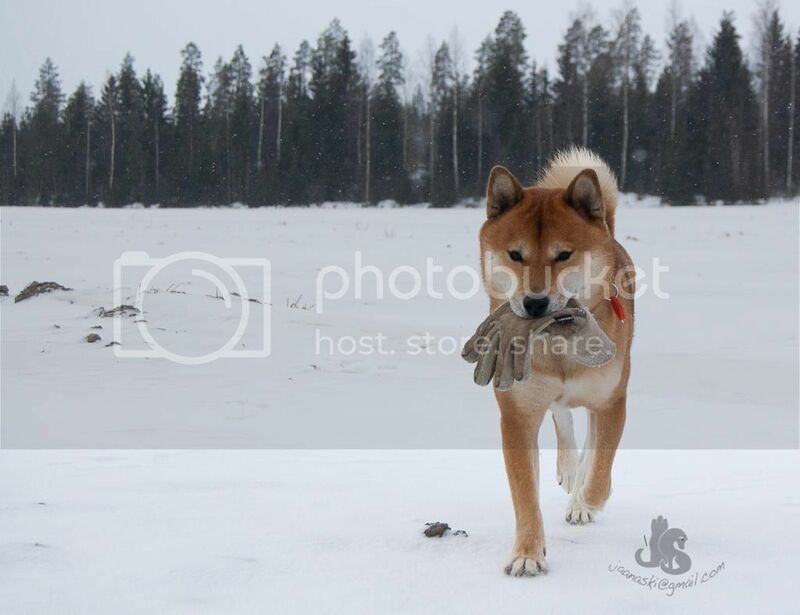 She is not the smartest but she is really easy shiba (friendly to other dogs and doesn't get provoked, well behaving and listens well). Unfortunately Ganon has really bad hips so no agility with him :( But he would love it! 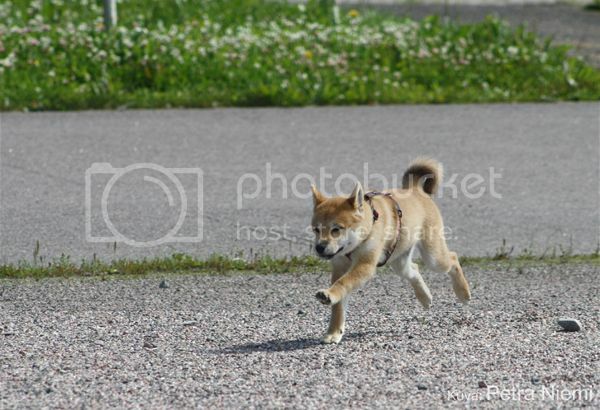 He's more active shiba and it was really sad to found out that agility it's not an option for him. He has done a lot of obedience which he also likes. Oh, poor Ganon. I'm glad he likes to do obedience. Updates on the sporting events! Our agility training is improving. We took part in "training-trial" at march. There were no all obstacles so we did great :D (teeter totter & weave poles are still in training). Navi also had her first obedience trial this spring. We got enough points for first prize. Only thing we had problems was sitting on command.. Lol. I'm so happy she didn't have any problems with the trial environment or me being nervous. There is also video of this but it's pretty boring. We also took pictures of the whole back. 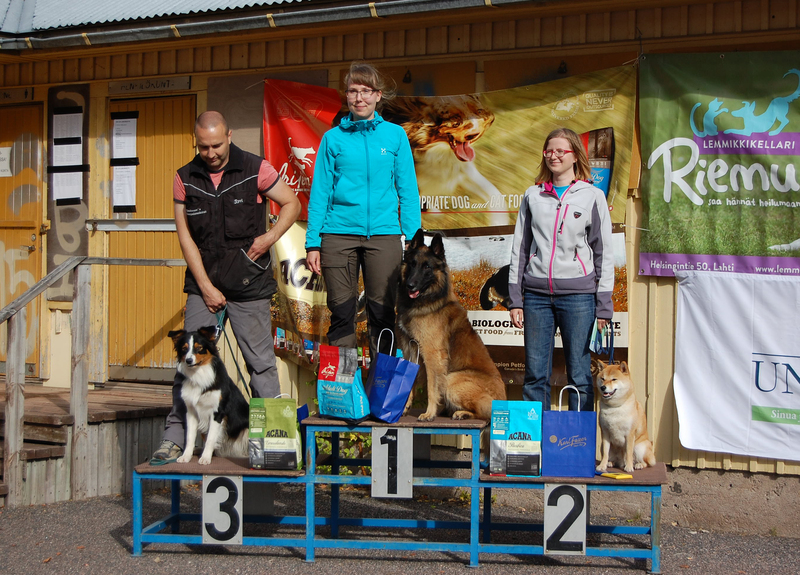 It has been only a few years possible to get official back results from finnish kennel club. There has not been any problems but I though it's not a bad idea to took them while the dog is already sleeping on the table. And my dogs live a fairly active life. lumbosacral transitional vertebra: LTV0 (normal) (Means the bones of back in the hips are normally formed). vertebral anomaly: VA0 (normal) (all the bones of the back are normal and there is no any missing or extra ones). Then there is this heelwork to music competition we took part with Ganon. I have had some interest at this sport but there was no courses near me so I decided to check it out by entering us into the event ;) I quess we did something right. *Adding videos isn't so easy..
We participated at weekend training of HTM&freestyle. Now I actually more knowledge what I should be doing in that sport. Sadly Ganons back legs have been a little worse so we haven't been doing HTM. We had obedience trial. It was a too hot day but we actually did good job. We actually got placed 3 out of 19! In case video doesn't work..
Video of practice trial few days later. 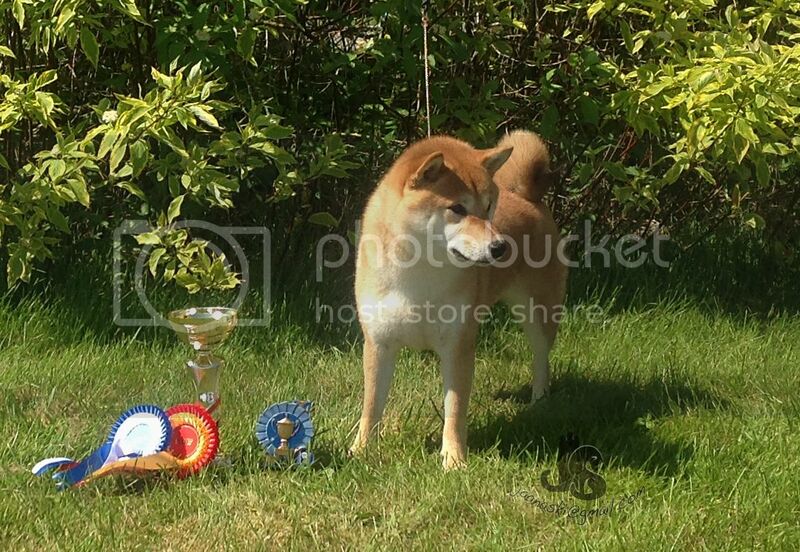 Navi had probably last conformation show for this year (heavy shedding started) and she got her last certificate and is now Finnish Champion! Laslty but not least we had another obedience trial. We needed one more result with over 160points to got the beginner title, but I didn't really believe this was the trial to get that because this was regional trial (once a year thing). Congratulations! What part of Finland do you live in? I live in Lahti, southern part of Finland. But my hometown is Rovaniemi so I travel to north now and then. 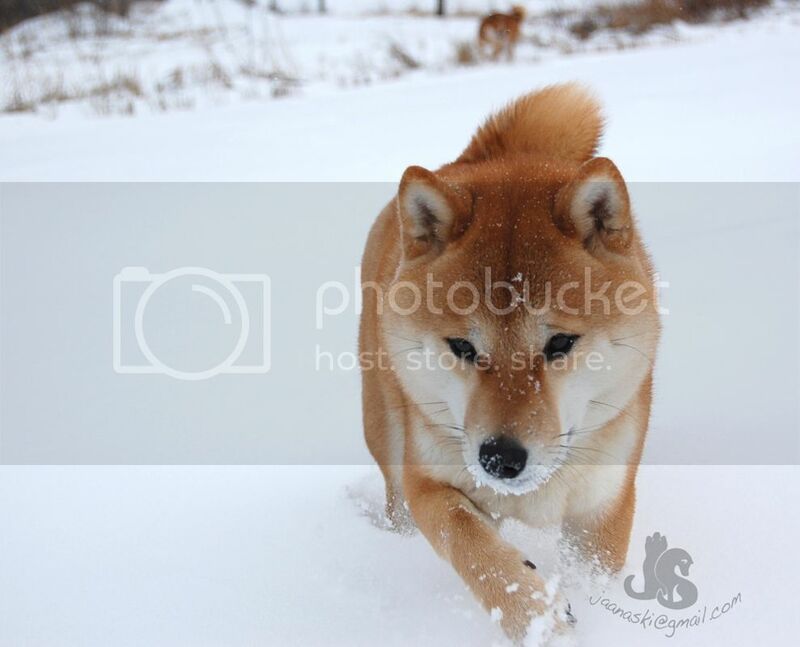 You take some very nice pictures @JaanaS, and your dogs are beautiful! Do you mind me asking what camera you're using? Congrats on all your (and Ganon & Navi's) hard work! Thank you all! Ganon&Navi have done great work this year. 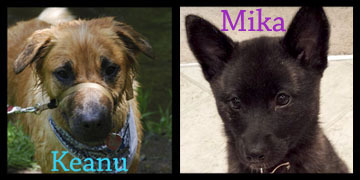 I hope we can get into new things in future too :D It's always great to hear if someone finds my dogs to be inspiring. Never too many people doing things with their dogs. @OtakuBenny My camera is 8 years old Nikon D40... I really hope to have new one someday. Everybody else seem to have way better ones. (although I really like this one. But it's getting outdated). Here are some more pictures if interested. @JaanaS I wouldn't have guessed that! Thanks for sharing your blog, you have a lot of interesting content on there as well. I'm happy if you find some of the blog content to be interesting :) lately updates have been mainly in finnish because there have not been many visitors from other countries. But I will still make some posts/guides in english too probably. Like the health statistics summary at the end of the year. (There are going to be a bit different results as overal this year).